SSIS Projects are used to extract data from a wide variety of sources, transform data, and finally load data into the destination. 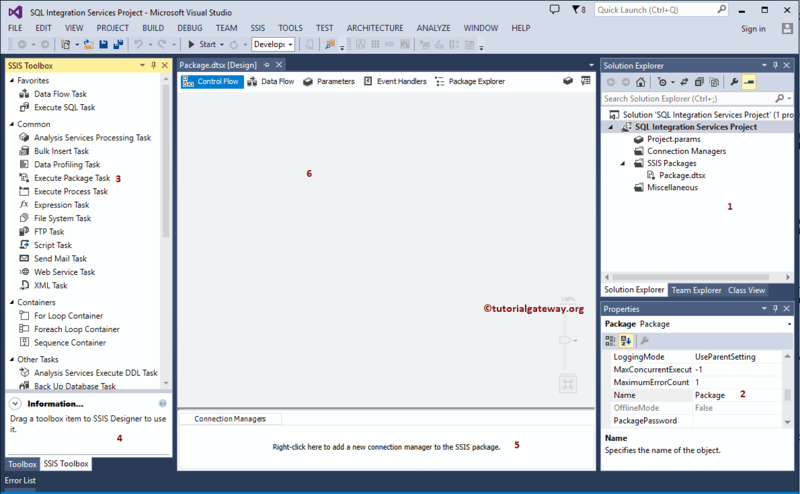 In this article, we will show you the step by step approach to create a SSIS project with an example. Once you click on the New Project… option, a new window called New Project will be opened. 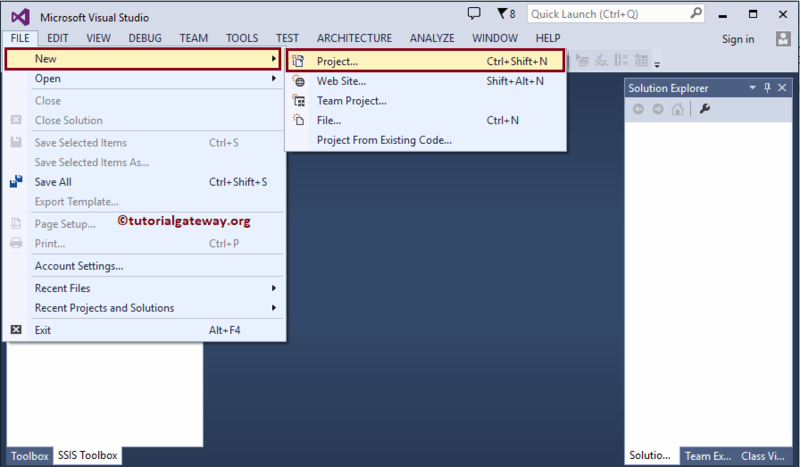 Use this window to select the required project from available project templates. 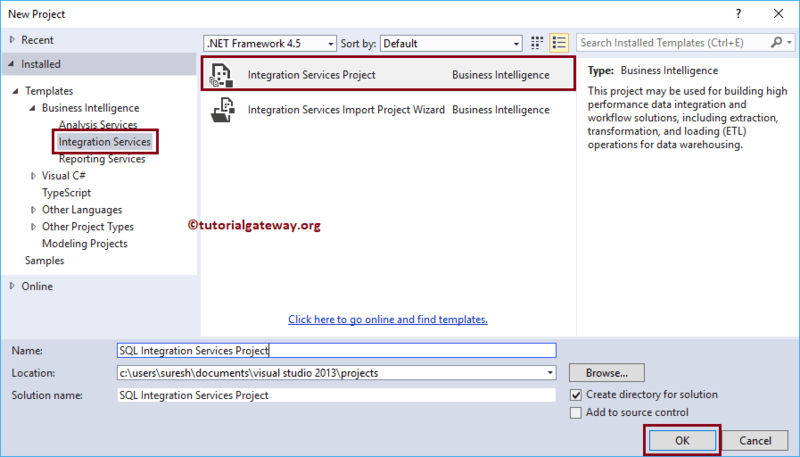 Let me select the Integration Services Project under the Business Intelligence Templates. Next, we changed the project name as SQL Integration Services Project. 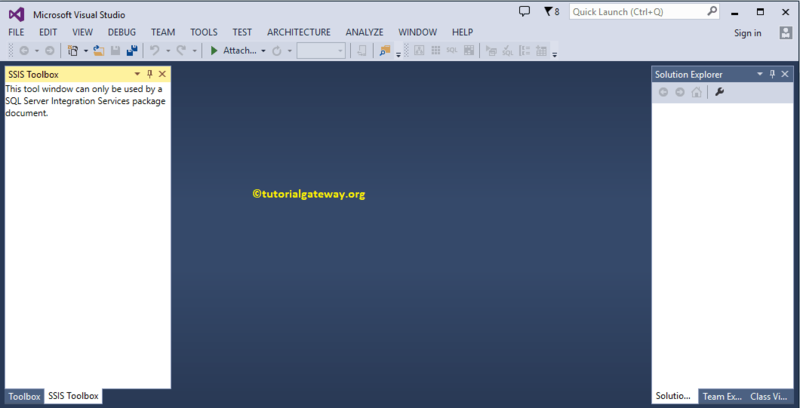 Click Ok to finish creating new SQL Server Integration Services project. Solution Explorer: Use this window to create project level connection managers, and packages. Toolbox: Drag and Drop the tasks, containers, transformations, sources, destinations to design your package.